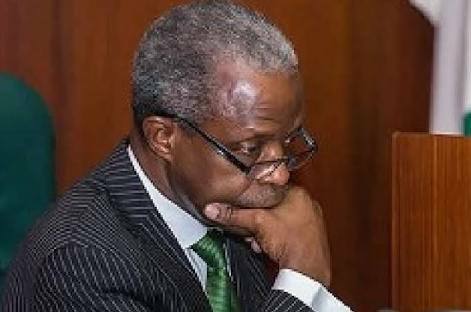 Vice president Yemi Osinbajo on Sunday said God’s mercy and the special prayer of protection that the General Overseer of the Redeemed Christian Church of God, Pastor Enoch Adeboye, prayed for him last Friday were responsible for his escape in the helicopter crash. Osinbajo said this on Sunday at a thanksgiving service held at the Redeemed Christian Church of God, Phase 11, Lokoja, the Kogi State capital. 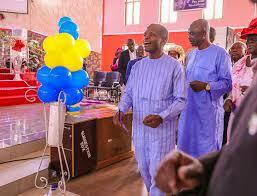 Osinbajo said he believed that God and Adeboye’s prayers were responsible for his escape last Saturday. He urged the members of the congregation to believe in the efficacy of prayers. “Whether or not the devil likes it, we are moving to the next level,” he added. Osinbajo added that no amount of thanksgiving and praises to God would be enough for saving his life and nine others in Saturday’s helicopter crash. “Only God can take the glory for saving my life and those of the others on board,” he said. The Vice-President said it would have been breaking news on local and international media that he and others had died in the crash but God did not allow such to happen. “No amount of thanksgiving and praises to God would be enough for saving my life and nine others on board. God is the one, who can do all things, and only Him can take the glory; we return the glory to Him. “We are here to say thank you. Thank you, Jesus. We bless His name forever and ever,” he said. He prayed God to bless all the people that had celebrated with him in Kogi State, the nation and the world at large. “All I have to say is that we are grateful and we are moving to the next level; the Lord will uphold us to the next level and Kogi will be number one,” Osinbajo said.